The Freckled Fox: Hey I just met you, and this is crazy! but here's my info, sponsor me maybe? K, so maybe that was a bit of a stretch, but all joking aside (well not all of it), I'd love to be friendlies with you in October! Interested? Not sure if you've noticed, but I recently switched to Passionfruit Ads, and couldn't be more excited about moving forward! October is going to be loaded with all the good old things you love about Life, etc (hair tutorials, recipes, diy's, etc), but I will also be adding a lot more excitement to the party! 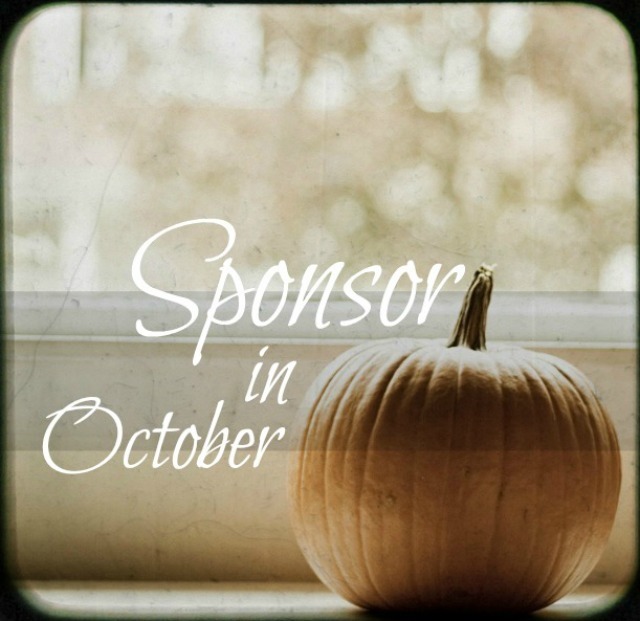 October will have several huge giveaways (one of which all sponsor sizes will have the opportunity to participate in), will bring on many many new and exciting changes for the blog, and medium sponsors will get to participate in a their own 'Sponsor Spotlight' post for the first time! If you're ready to go you can purchase your ad directly from my sponsor page HERE. Your ads will go up and last for 30 days(or more if you want!). Also they will be rotated constantly within their size group, so you'll be seen wherever readers go! The XL is booked until December, but there are a few large, and several medium ads left! If you have any questions, feel free to email me at emmymeyers13(at)gmail(dot)com. I would love to talk about anything you want! October is going to be fun. hey emily!glad you found my blog-now I have found yours! I would be so interested in sponsoring you another month! Happy to be getting to know you this month-great blog! do you have to buy an ad space to sponsor? Wow! This new design is A-Mazing, Emily. LOVE it. I love the new blog design and title! It fits you perfectly! Hi! You just joined my blog and you are the cutest thing ever! Thanks for stopping by while I am new to this whole blog thing :) I'm also excited to see another red head with brown eyes!! I have gladly joined!